Formerly called Groupon, Nearbuy is India’s first online platform that brought local merchants and customers together. It brings everything you need, closer to you. Be it fine dinners, luxurious spas, weekend getaways, doctor’s appointments, or any other special or regular household service, you can discover everything at your fingertips on Nearbuy. And to make it all affordable for you, Zingoy brings you some amazing Nearbuy offers and discounts on a single place, here. In fact, apart from just saving, you can also earn huge cashback on everything that you buy from Nearbuy via Zingoy. Additionally, Zingoy also gives you cashback when your friend’s buy something from Nearbuy via your Zingoy links. No minimum purchase. HELLBOY code is applicable on all deals. Each person is eligible to apply the code every time they make a purchase on nearbuy.com. The winners will be decided by a lucky draw. Transact more using HELLBOY to increase your chances of winning. Contest ends on 9th April 2019. Winners will be announced on nearbuy.com official social media handles on 10th April 2019. Nearbuy Salon Cashback: Enrich set up its first salon in 1997 and has since grown to be one of the largest unisex salon chains in Mumbai with multiple outlets across the country. Open the voucher on your phone - via email or under the 'purchases' section of the app. Show the voucher to the merchant when you visit. The merchant will verify the voucher and redeem it on your app. Cancellable by customer with 100% refund. Nearbuy Imagica Cashback: Imagica is a popular park located at Khopoli. It offers thrilling and entertaining rides for people of all ages with various types of fun rides. The architecture is vast and matches all the international standards of safety. Open the voucher on your phone - via email or under the 'purchases' section of the app. Show the voucher to the merchant when you visit. The merchant will verify the voucher and redeem it on your app. The Great Escape Water Park is a 26-acre water theme park in Mumbai dedicated to sheer rejoice. Recharge yourself at the adrenaline rushing monstrous gut - the 40 feet water slide or just relax with the soothing curls of the thrilling wave pool. (Valid for 1 Child / Senior Citizen) Entry Ticket + Food Package at Rs.549, (Valid for 1 Adult) Entry Ticket + Food Package at Rs.621 only. Open the voucher on your phone - via email or under the 'purchases' section of the app. Show the voucher to the merchant when you visit. The merchant will verify the voucher and redeem it on your app. 7 Days: Get a Voucher to Buy 4 Donuts and Get 2 Donuts FREE at Rs.15 only. Wed: Buy 3 Donuts and Get 3 Donuts FREE at Rs.19 only. Cancellable by customer with 100% refund. It is recommended that you make a prior reservation. Upon arrival, present the voucher on your phone. Redeem the voucher before consumption. At Timezone you can get superb arcade games, exciting rides, fabulous prizes and much much more. Their aim is more about providing a bonding experience. The combination of drama and movement, fun and adventure makes Timezone the fight destination for a day of fun. So go relive your childhood at Timezone. Get Weekday: Foot Reflexology / Neck & Back Massage (30min) at Rs.699, Weekend: Foot Reflexology / Neck & Back Massage (30min) at Rs.999, Weekday: Full Body Massage + Shower (Total Duration: 60min) at Rs.1199 and more. Carry your email voucher on phone or access it under the 'purchases' section of the app. Make prior reservation before you visit the merchant. Merchant verifies the voucher or you can redeem it yourself using the app. Nearbuy Promo Offers: Get Haircut + Hair Wash at Rs.199, Head Massage (20min) at Rs.199, Face Cleanup + Exfoliation at Rs.199 and many more deals. Carry your email voucher on phone or access it under the 'purchases' section of the app. Make a prior reservation before you visit the merchant. Merchant verifies the voucher or you can redeem it yourself using the app. Cancellable by the customer with 100% refund. Nearbuy Promo Offer: Now Get Upto 70% Off on Local & Travel Deals at Nearbuy & save more. Buy deals from Food, Spa, Salons, Movies, Activities, Hotels, etc at Nearbuy and get up to 70% discount + up to 30% cashback. Now book your Hotels, Homestays and more from popular Hill Stations like Nainital, Mahabaleshwar, Lonavala, Gangtok, Manali and more. Book your travel deals starting at Rs.999 only. Coupon code is not required. Checkout the landing page for more details. Nearbuy Travel Discount Offers: Now book Hotels, Homestays and more from popular cities like New Delhi, Mumbai, Pune, Gurgaon, Hyderabad and more. Get your Budgets Stays starting at Rs.2499 only. Coupon code is not required. Checkout the landing page for more details. Nearbuy Offer on SPA Deals : Now Buy Spa Deals from top Spa's & Salons in your area. Choose deals from Body Massage, Ayurvedic Massage and more. Coupon code is not required. Checkout the landing page for more details. Nearbuy provides an online platform to its patrons and local merchandizers to connect, engage and transact with each other. You just have to use the Nearbuy app to stay connected with the movies, restaurants or upcoming events and happenings in your vicinity. Nearbuy is an ideal gateway for local business establishments and merchandizers to gain visibility and footprint. How to Use Nearbuy Offers , Coupons and Promo Code for Online Shopping? Whether you are on a sabbatical or a long weekend or have time to spare. What would you like to do? You may plan to: visit a restaurant, go for a movie, visit a health and fitness centre or go shopping. You may also plan an outstation travel or just explore places of interest around you. Be it travelling, eating, shopping or entertainment, you will end up paying more as a result of GST and inflation. That’s it. You can go ahead with your plans and enjoy. How to Grab Nearbuy Cashback Offers via Zingoy? You have already saved on your time by finding a whole list of Nearbuy coupons and offers on Zingoy-all under one roof. Well, Zingoy has more to offer in the form of Nearbuy cashback offers. Zingoy lets you earn cashback in addition to the discount accrued using Nearbuy coupons and Nearbuy promo codes. 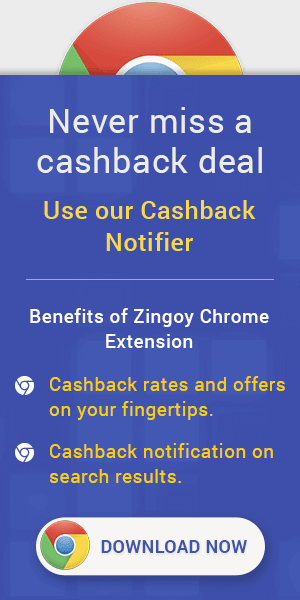 So, if you are getting the discount in form of Nearbuy cashback, then Zingoy gives you cashback over and above that too. You can enjoy these Nearbuy cashback offers by Zingoy by availing all the Nearbuy offers from here. Just sign up with Zingoy and click Shop and Earn against your cashback eligible offers. Once your order is processed, your Zingoy account will be credited with the cashback. Thus with Zingoy you save beyond the regular Nearbuy cashback offers and discounts. By sharing your cashback eligible product links with your friends, you can earn additional cashback everytime your friends shop using your Nearbuy links. With Zingoy, you not only save on your fun plans but also on that of your friends and family. How to Redeem Nearbuy Promo Code? At Zingoy you can check for the wide range of Nearbuy offers available on the store page. Find all the latest available Neabuy coupons & promo code on Zingoy and get maximum discount on online shopping. Steps on how to apply the given Nearbuy coupons.